Kuala Lumpur (AFP) – Two women accused of the Cold War-style assassination of the half-brother of North Korea’s leader go on trial next week, possibly lifting the lid on the mysterious murder in Malaysia that sparked a diplomatic crisis. The defendants have barely been seen in public since their arrest just days after the murder of Kim Jong-Nam on February 13 as he waited to board a plane to Macau at Kuala Lumpur airport. Indonesian Siti Aisyah and Vietnamese Doan Thi Huong are accused of rubbing toxic VX nerve agent in his face in a hit that stunned the world and sparked a fierce row between North Korea and Malaysia, which had been one of Pyongyang’s few allies amid global alarm over the country’s atomic weapons programme. Kim died an agonising death about 20 minutes after the attack, which was caught on airport CCTV as the VX — a chemical so deadly it is listed as a weapon of mass destruction — rapidly overcame his central nervous system. The women — who may face the death penalty if convicted — say they were duped, and believed they were taking part in a prank for a reality TV show. Defence lawyers have claimed the real culprits have now left Malaysia and that the trial of the two women is motivated by the prosecution’s desire to secure any sort of conviction in the case. Their only appearances since February have been at heavily guarded court dates, with the diminutive pair dwarfed by heavily armed police as they have been ushered into hearings wearing flack jackets and handcuffs in front of the world’s media. The closely-watched trial will start Monday at Sham Alam High Court, just outside Kuala Lumpur, with Aisyah, 25, and Huong, 29, expected to plead not guilty before the prosecution begins presenting their case. There are still many unanswered questions surrounding the murder. These range from how two women living precarious existences among Malaysia’s army of migrant workers allegedly became involved in a high-profile assassination, to how a lethal nerve agent was deployed in an airport and killed Kim but harmed no one else. South Korea accuses the North of being behind the murder of Kim Jong-Un’s estranged half-brother, who had voiced criticism of the regime after falling from grace and going to live in exile overseas. The North denies the allegation. The run-up to the trial has been marked by fierce criticism from the women’s lawyers who say they are figures of convenience. 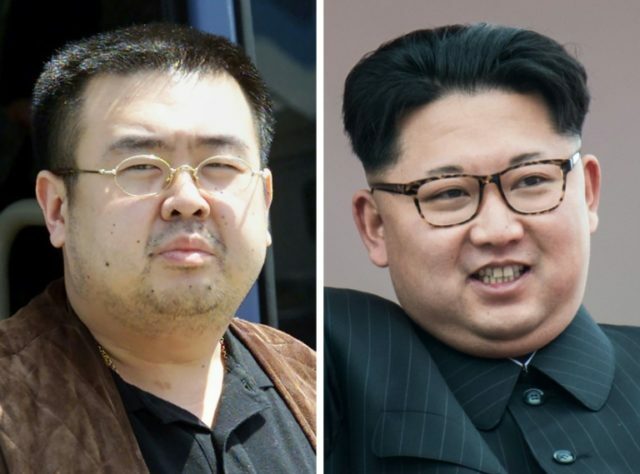 Some North Korean figures linked to the plot fled Malaysia immediately after the assassination, while others were allowed to leave the country later to ease the diplomatic crisis. The women’s legal teams also accuse prosecutors of dragging their heels on handing over key material required to mount a defence. Aisyah’s lawer Gooi Soon Seng said authorities’ failure to cooperate meant the suspects could face a “trial by ambush”. “The way police go about the investigation in this case, it is shrouded with mystery,” he told AFP, adding there were “elements of politics” in the case. But prosecutors insist the women will have a fair trial. “To me this is another murder trial — we go by evidence,” Prosecutor Muhamad Iskandar Ahmad told AFP. The prosecution will lay out their case at hearings over two months and will call 30 to 40 witnesses. The defence is then likely to be called to present its case. The women’s lawyers have insisted their clients were tricked into taking part in what they believed was a prank. They have also cast doubt on experts’ reports showing that VX was used in the killing. Their concerns chime with the doubts of some scientists, who have been confounded by how VX was deployed in an international airport without causing serious injury to the assailants, first responder medics or other travellers. The assassination sent the diplomatic temperature soaring between Pyongyang and Kuala Lumpur, with both countries expelling each other’s ambassadors and barring their citizens from leaving. Tensions eased when Malaysia agreed to return Kim’s body. An Asian Cup football qualifier between Malaysia and North Korean was postponed amid the crisis, and was delayed this week for a third time after Kuala Lumpur imposed a ban on travel to North Korea due to surging nuclear tensions.